Genre : The album is beautifully arranged and produced by composer/keyboard-player Nick Magnus, best known for his work on 12 albums with ex-Genesis guitarist Steve Hackett) with some additional wonderful playing from top session guitarist Dzal Martin. 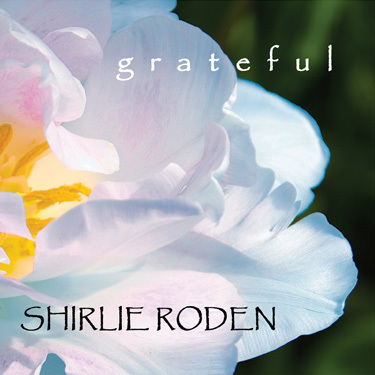 Shirlie is well-known for the healing quality of her voice, and this new cd has already evoked further comparisons to Enya and also Karen Carpenter from delighted listeners. THEN WHY CAN’T WE CHOOSE LOVE? I CHOOSE HOPE, I CHOOSE TRUST, I CHOOSE LIFE (I CHOOSE LIFE! )I CHOOSE LESSONS I CAN DEAL WITH, INTUITION I CAN HEAL WITH I CHOOSE THE REAL ME: I CHOOSE LIFE, YES! I CHOOSE THE REAL ME: I CHOOSE LIFE, YES! I CHOOSE THE REAL ME, I CHOOSE LIFE, YES! I CHOOSE THE REAL ME – I CHOOSE LIFE! Copyright: The Singing Earth Music Co. Ltd. UK. ARE YOU SINGING PRAISES OR PREACHING FEAR? JUST SMILE AND BE GRATEFUL TO BE HERE! LET THE MIRACLE OF GLADNESS BEGIN! INSPIRE ME TO LIVE MY DESTINY! MY WAKING THOUGHTS TURN IN CIRCLES – AM I LOST? THE VOICE OF DOUBT – IF I SHOULD FAIL WHAT IS THE COST? ANOTHER VOICE WITHIN CRIES TO ME, SEIZE THE DAY! INSPIRE ME TO BREATHE THROUGH THE FEAR etc. THE GIFT THAT WAITS THE OTHER SIDE OF MY FEAR? BUT WHO KNOWS WHERE AND WHEN?